News published on أكتوبر 15, 2015 . All the members of the EMPODaT team are doing an incredible work in disseminating the outcome of the project within the International Scientific Society, thanks to various events they had the chance to participate in. 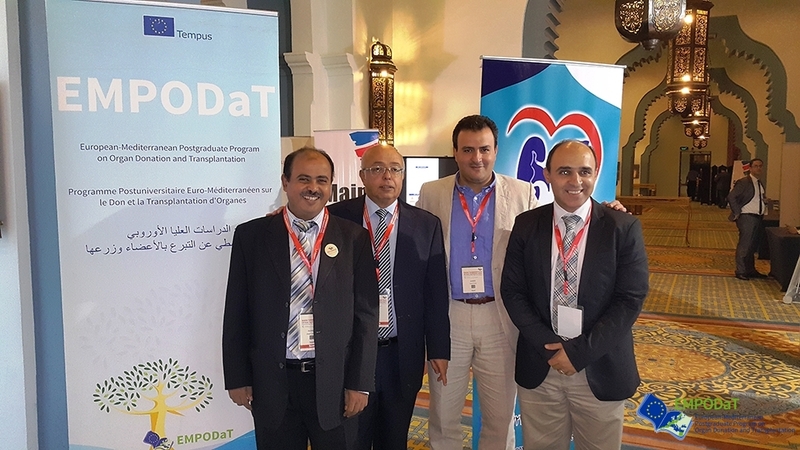 The DTI Foundation, partner in the project, have had the opportunity to take part in different Congresses where it promoted EMPODaT. 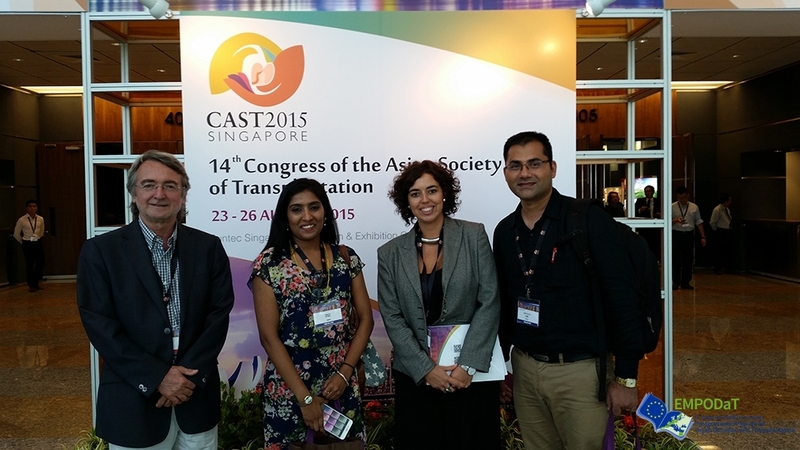 It happened, for example, earlier this year (March 2015) in Barcelona during the 13è Congrés de la Societat Catalana de Trasplantament in, in Singapore for the 14th Congress of the Asian Society of Transplantation in August 2015 (CAST), but also in Belgium during the 17th Congress of the European Society of Transplantation in September 2015(ESOT), and recently in South Korea for the 13th Congress of the International Society for Organ Donation and Procurement in October 2015 (ISODP). 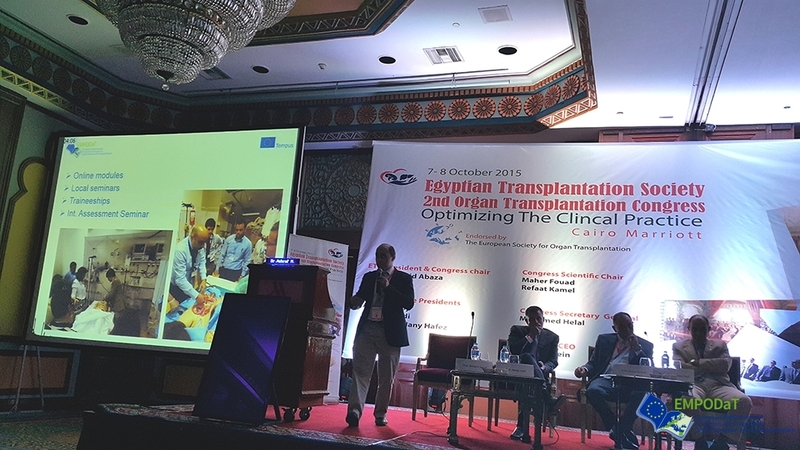 In Egypt, the Transplant Society organized the 2nd Congress of the Transplant Society from the 7th to the 8th of October 2015. 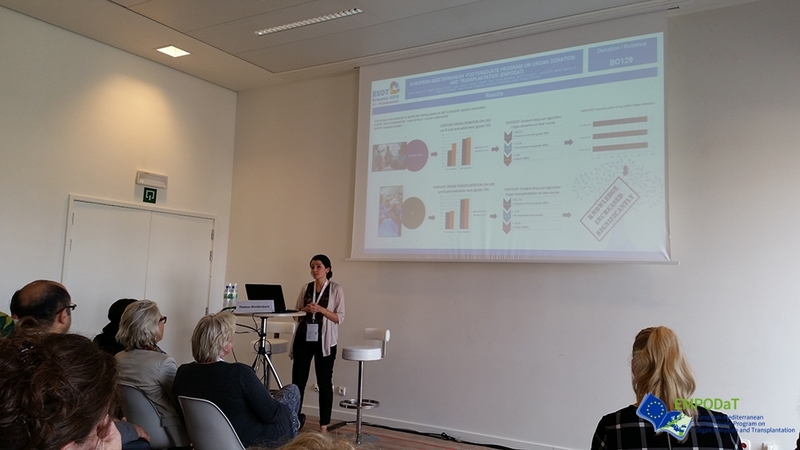 It was a great opportunity to spread the outcome of the project among health care professionals,that shown great interest in taking part in a similar postgraduate program in the future. It encourages the sustainability of EMPODaT and promises it a great future. On the other side of the Mediterranean Sea, the Université of Nice Sophia Antipolis, is also spreading the word of its collaboration with the EMPODaT project. 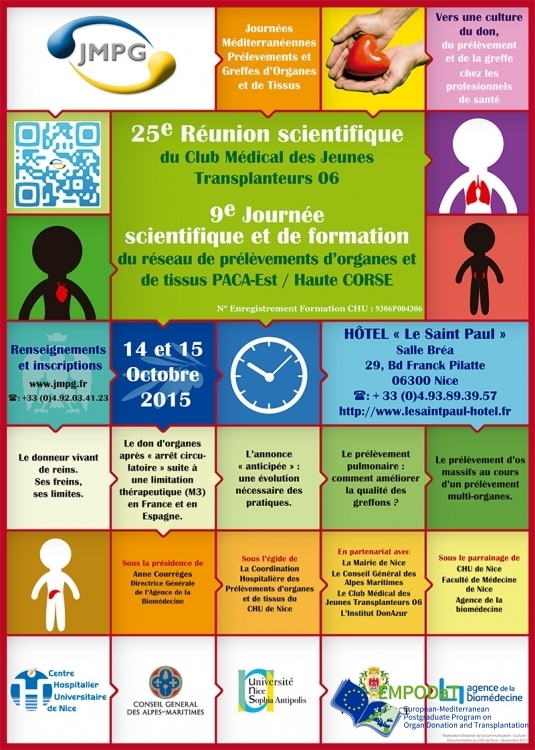 It was indeed mentioned during the « Journées Méditerranéennes Prélèvements et Greffes d’Organes et de Tissus » that took place from the 14th to the 15th of October 2015. Last but not least, we are very much looking forward to hear about the conclusion of the monitoring visit organized by the European Commission at the University of Cairo, Egypt, on October 20, 2015 We are sure that our partners will do their best to present the project, its progress, outcomes, as well as barriers, solutions and lessons learned. In the meantime, we wish all the EMPODaT participants a nice autumn.